Hello everyone! 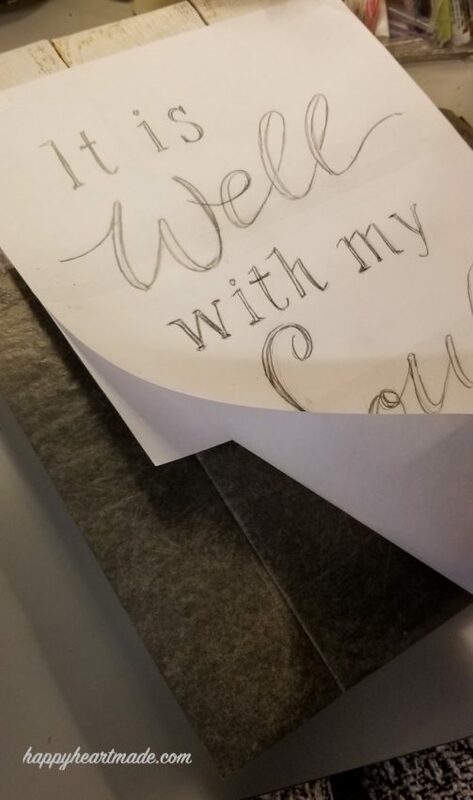 I hope all is well with you today? Thank you for popping in to see a recent sign I made. 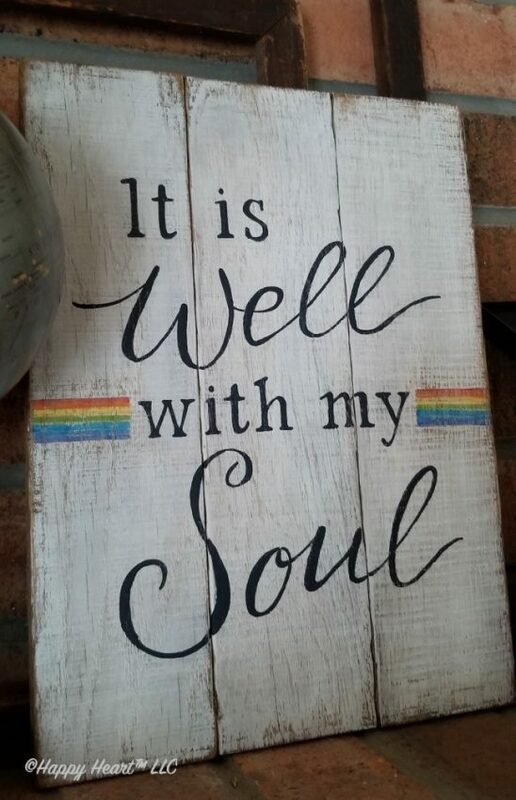 The request was for the hymn, It is Well with My Soul, to be painted on wood boards…and for a rainbow to be added to the mix. I did a few rough thumbnail sketches as design options. I assembled my boards and began making it a reality. 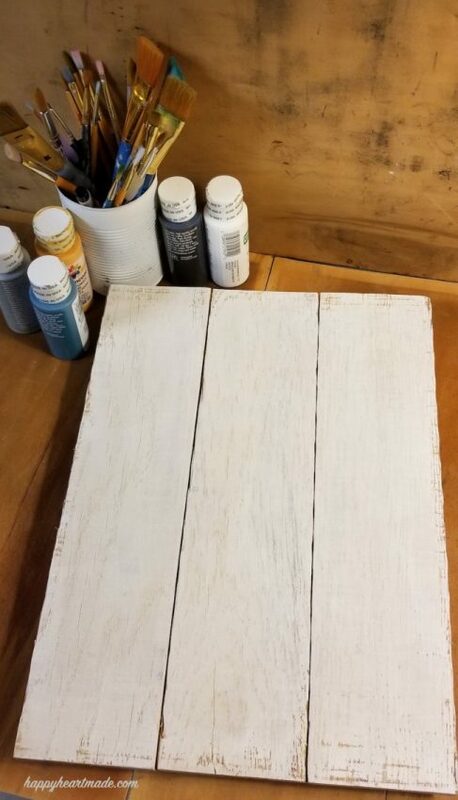 White paint was added. I made a larger sketch to fit the boards. 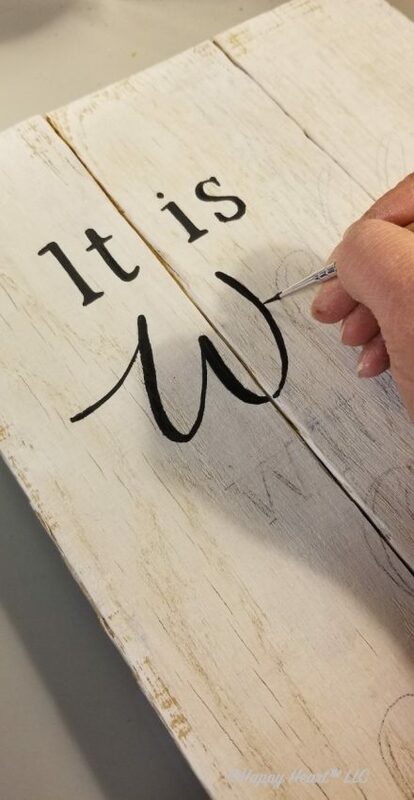 I’m totally working that “S” to get it just right.😊 Then, I transferred it onto the boards using transer paper from my local craft store. 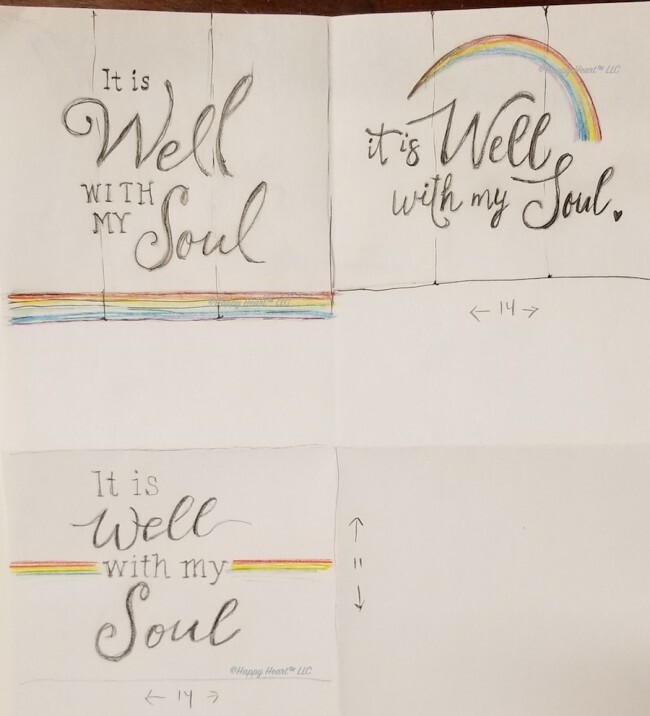 Lettering… Rainbow…. Oh, let’s talk about rainbows for a minute. Did you know that the light around the Lord is like a rainbow!?! Can you imagine what beauty, awestruck wonder at such a vision!!! In the book, Heaven is for Real, a three year old boy, Colton, finds himself in heaven during a medical emergency. He shares that Jesus’s horse has rainbow colored hair. What, rainbow colored hair??? We all know from Scripture, Jesus comes riding on a white horse and not a multi-colored one. Well, doesn’t he!?! However, if you think about it in context of the verse above, it makes perfect sense for the radiant glory of the Son of God to make everything around him reflect his brilliance. Through the lens of a toddler, he very well indeed, may have seen a rainbow colored horse!!! Well, wouldn’t you!?! 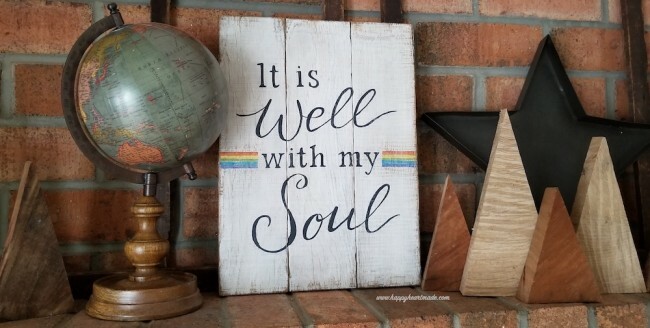 It is (so) well with my soul!